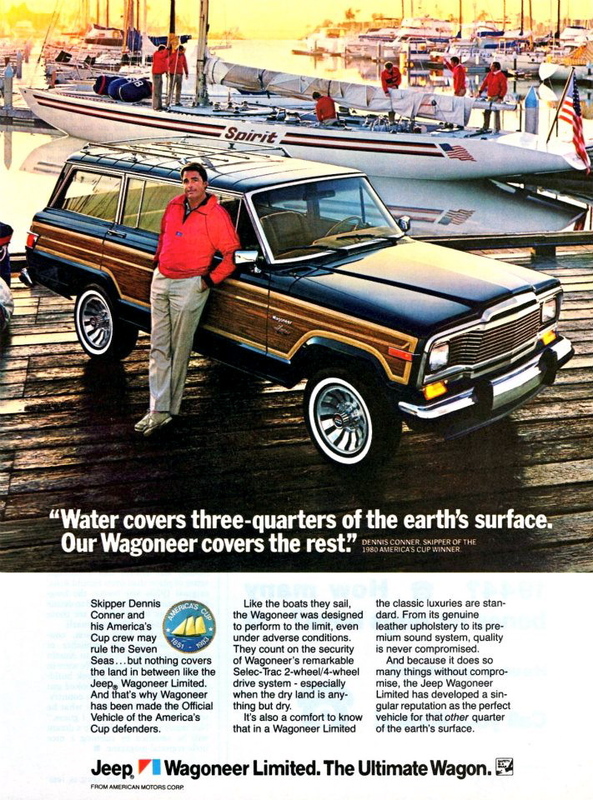 I love finding old ads for products we used to own in our childhood or teen years, like this 1983 Jeep Grand Wagoneer. Classic! I also am a huge fan of the series “Mad Men”, which is the essence of old school marketing, better known as advertising. Back then, it was similar to the old waterfall method of developing software, in which you do all the planning up front, freeze the specs, and build for months and months until launch. They used to buy magazine and newspaper ads months in advance, and then measure the results in the quarters that follow. They used data, but very much after the fact. Today, the basic operation is the same, but the game is so much faster. Digital marketing enables the marketer to conduct tiny, inexpensive (if not free) experiments to find the best avenues to gain market share, and then stomp on the gas when they discover what works the best. And then keep on experimenting. It’s really amazing to those of us who have experienced it both ways. The game is still the same, but it’s played at digital speed, rather than print speed. We rely on data vs. emotions. I think there’s a big misconception about the ads and campaigns they created in the Mad Men days. Yes, there was a lot of emotion involved (more in the show than real life), but the results were still measured in revenue, market share, traction, and growth. Back then, it took quarters and years see the results, and market share reports came in the mail. The numbers (still) never lie. Doesn’t matter really what you’re marketing or how you market it, if your strategy is wrong, the numbers will eventually reveal the fault. If your strategy is right and your tactics wrong, the numbers will tell the story. The difference is that, today, you can determine whether you’re on the right or wrong track in a day, not a year. The new marketing is still marketing. That’s my opening line for the General Assembly Digital Marketing class and bootcamp: “digital marketing is still marketing”. What I mean is the goals are still the same. We just don’t print a whole lot of anything anymore, but rather make sure it’s responsive and looks fantastic on a 4″ or 5″ screen. But we still aim to reach people who didn’t know about us before, and draw them into and then down the marketing funnel to become customers, and then engage and please them such that they become loyal advocates of our products. All the data is there now. Don Draper had data…after the fact. Results data was all that mattered. Today, we have instant data on every move our users and customers make on our web sites. We can even watch their mouse clicks and put a cookie on their device and retarget them when they leave our site. We couldn’t do that back in the day. Yesterday. Yesterday we had data to determine results, success or failure. Today we have data to see results in real time. Today we can take what was old, and make it look new. 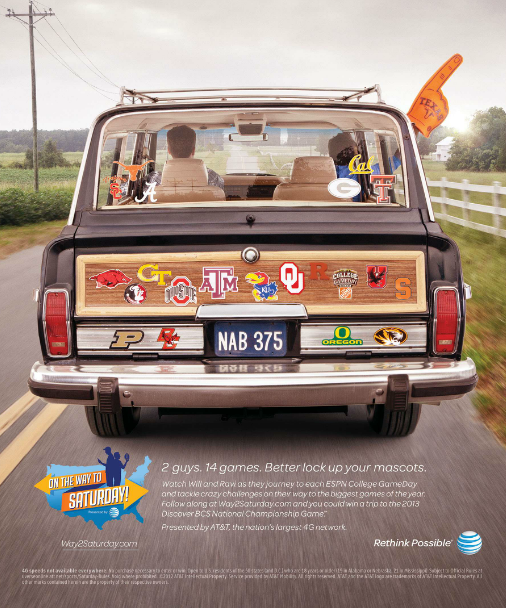 This is actually MY 1990 Grand Wagoneer, photoshopped into an AT&T ad in 2012. Amazing. Next PostNext Pitch Practice June 26 2015: Red Velvet Cupcakes!